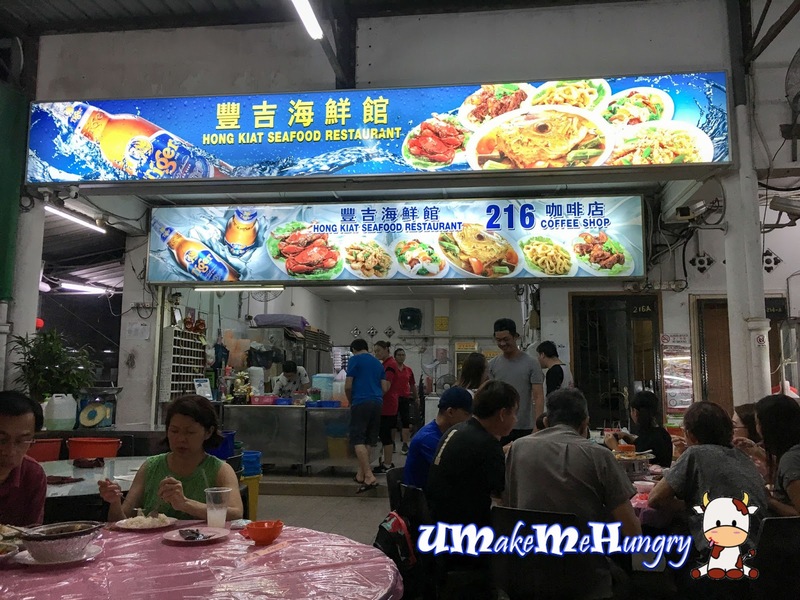 Dining at Hong Kiat is a different feel from other Cze Char Place in Singapore as I find that the environment feels abit nostalgic and has less feel of being in Singapore. I had heard of this place quite sometimes back by my colleage and hasn't had the chance to visit till now. Though place may seems abit old and run down, there are still many person patronizing for their dinner. There was quite a fair bit of items on the menu and comparable to others. 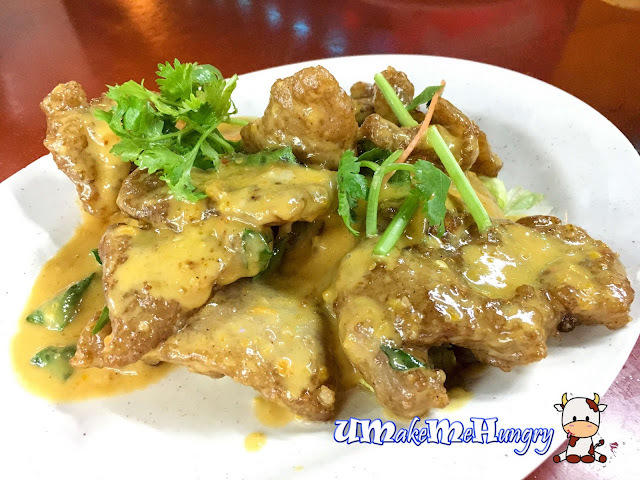 There was many kinds of pork ribs to be served but we got the salted egg version. Its a tad spicy however I quite enjoy eating it as the sauce was generous and it smelled good. 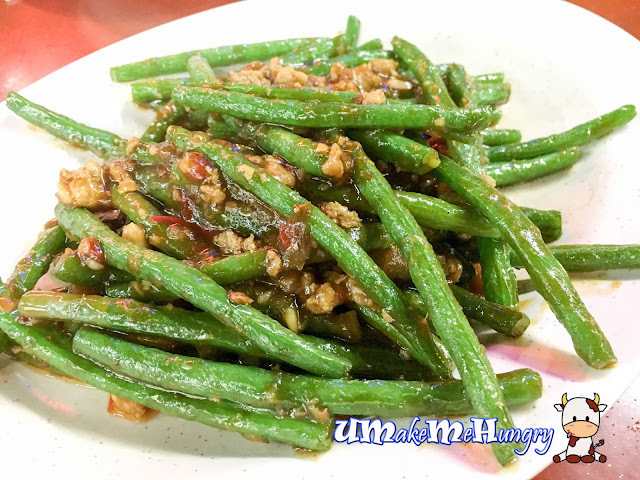 French Bean was cooked together with minced mean and a little of chilli. It was not too oily. Love the biting crunch from the beans. 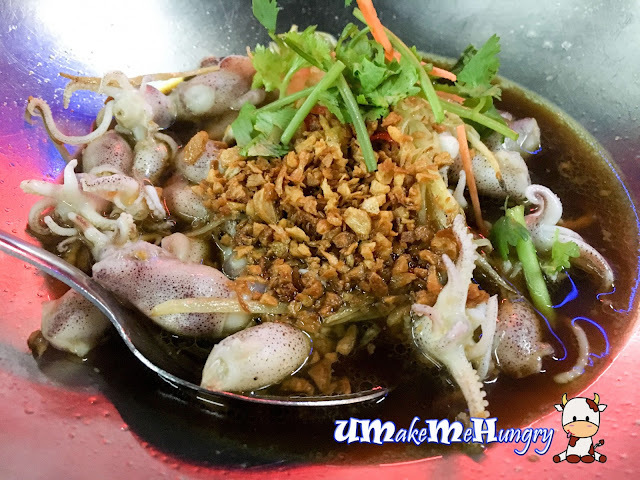 This dish was highly recommended by the service staff and she mentioned that its not available in menu and in order to get it prepared this way, these baby Sotong has to be very fresh. This dish was served over a flame and soaked in light soy sauce. 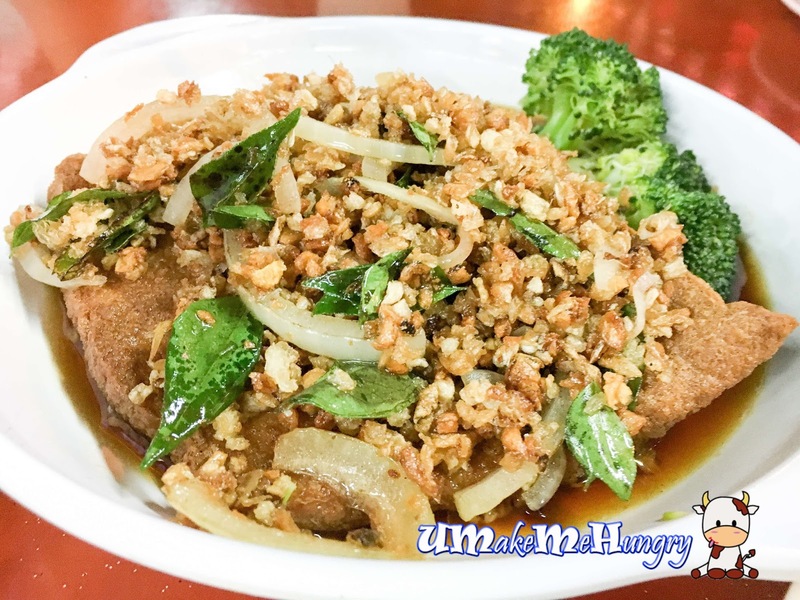 It was not spicy in the initial part however as you continue to get more, you will get a taste of its spiciness. This is something that I have always been looking forward to. Nutritional Beancurd came in a square shape. Its wobbly and can be prepared in 3 different ways, with vegetables, preserved radish or in Thai Style. We had it topped with preserved Radish and the dish was delighting without having the toppings too salty. With words of mouth, I find that the Cze Char here is not too back and it wont be my last time here visiting.